June 2009: A software update to version 4.7.0.148 has been released. It fixes a lot of the issues mentioned in this review. You can check our hands-on with the new update here. 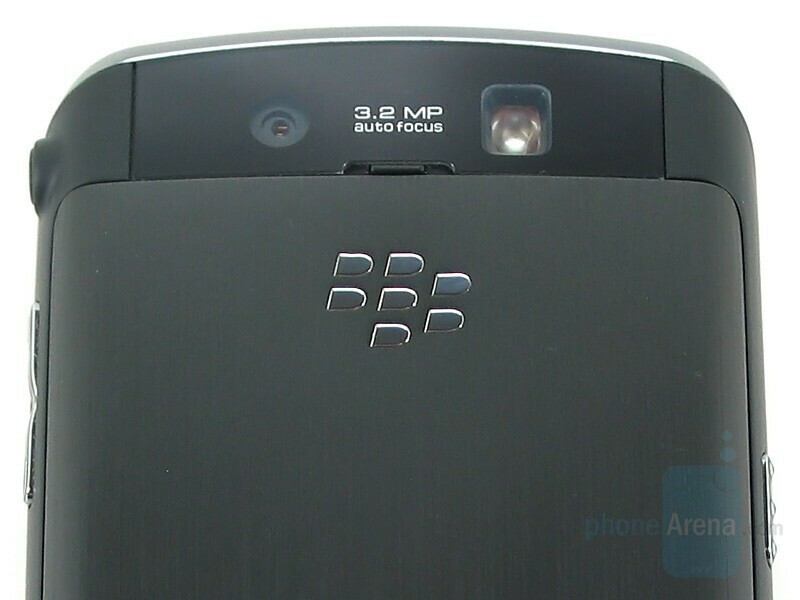 What’s this, the new BlackBerry? Woah, it has no keyboard. And…did it just click? You’ve never clicked a screen before, is that supposed to happen? Is it supposed to feel so…tiring? And why is this screen wiggling around, am I supposed to be seeing the circuit board? Why is it so heavy; the iPhone isn’t this heavy? The interface is pretty neat, but why are page transitions taking so long. Did it just flip orientations on me? I didn’t even move it. Wait, now I did move it and the orientation isn’t following. What’s going on, I thought this was supposed to be an iPhone killer? This is what Verizon is putting their muscle behind? Really? Ok, it's not all bad and for those users that don't actually use a BlackBerry for its BlackBerry functions it's a pretty good device. The browser is pretty awesome. The new interface has eyecandy galore, although there’s really nothing fundamentally new. “Verizon” isn’t plastered all over the device. Videos look fantastic on the 3.2” crystal clear display, and with 1GB of internal storage and an included 8GB microSD card there is plenty room to store them. 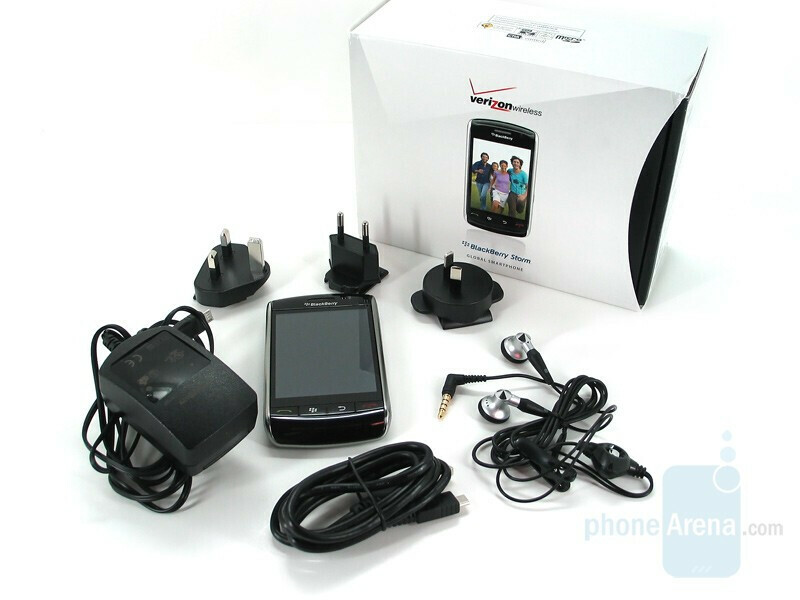 It has an autofocusing 3.2 megapixel camera with flash that can record QVGA videos. It’s a quad-band GSM device, and VZW will eventually provide you with the subsidy unlock code, meaning that you can conceivably use it on T-Mobile or AT&T here in the States, though you won’t have 3G data. But it’s just…off. The first thing you notice is how heavy the Storm is. It’s nearly an ounce heavier than the iPhone and Bold, and a full ounce and a half heavier than the Diamond and Curve. We appreciate heft for the sake of quality, and in fact have taken some criticism for knocking devices that are too light, but the Storm is just plain heavy. 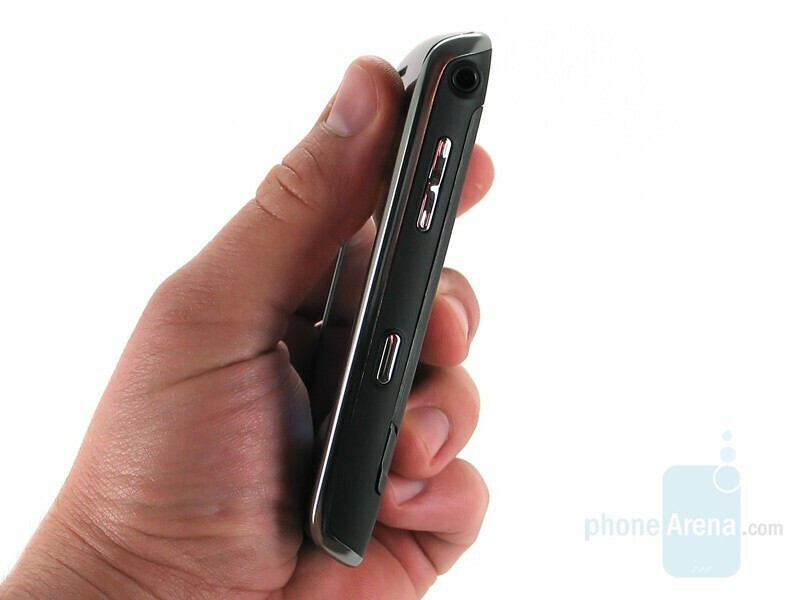 It’s also wide; its 2mm narrower than the iPhone, but 6, 9 and 12mm wider than the Curve, Dare and Diamond, respectively. The 3.2” display makes it tall, but it’s a full 7mm taller than the Instinct which also has a 3.2” screen. You can compare the BlackBerry Storm with many other phones using our Size Visualization Tool. For the most part the design is very solid. Its very iPhoney in appearance, with the large touchscreen and chrome trim, but you’ll never be mistaking the two. Four familiar hardkeys- Send, Menu, Escape, End- sit at the bottom of the unit, though this time without a trackball to separate them. 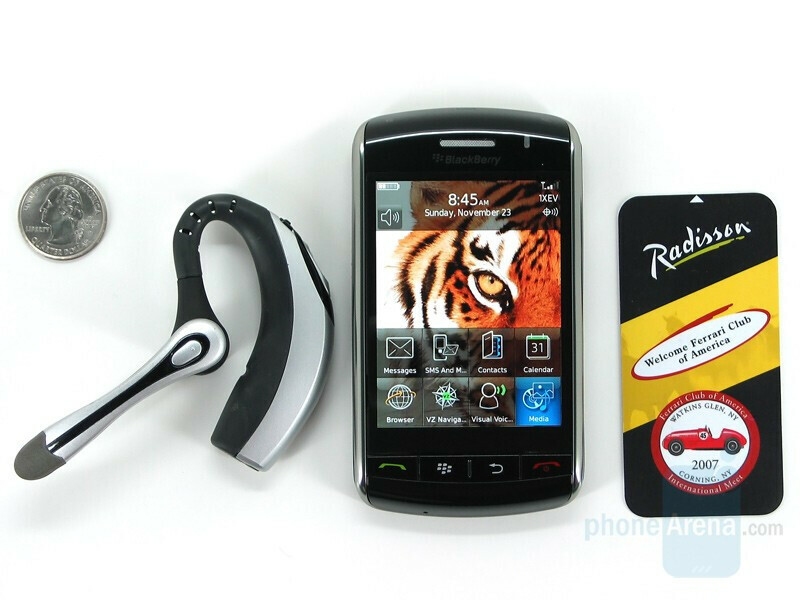 On the left side is a convenience key and microUSB charging/data port (a first for RIM); on the right is a 3.5mm headset jack, volume rocker and another convenience key. All of the side keys are chrome, and the black side housing has a rubbery finish. 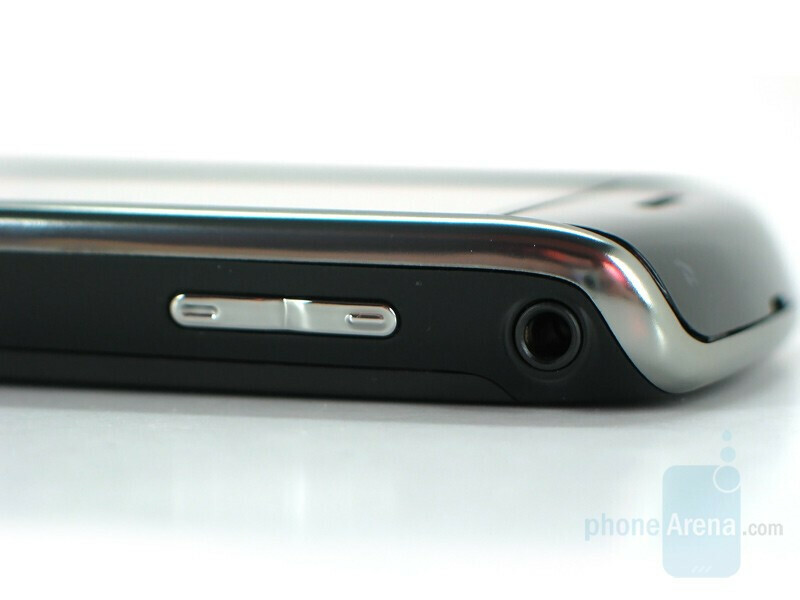 The 3.2MP camera and flash are in a glossy housing on the top of the rear of the Storm. 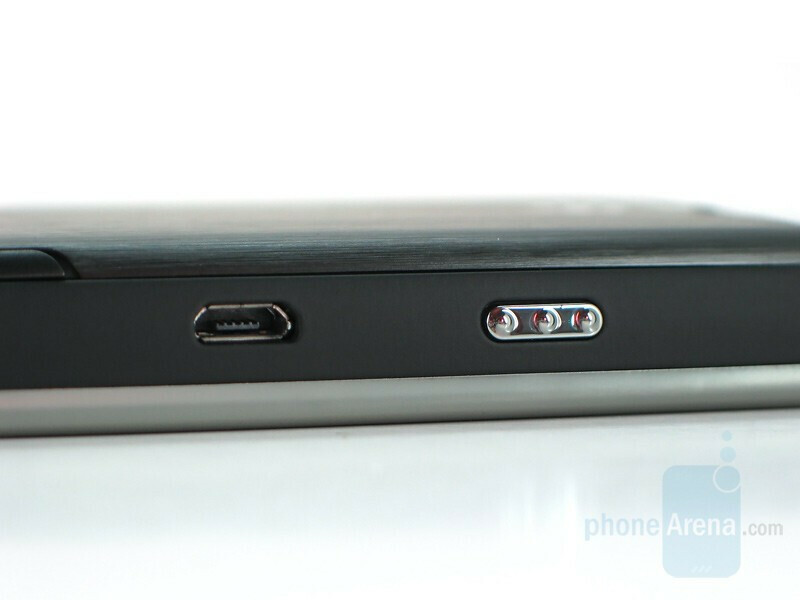 The prominent battery door is brushed metal which feels wonderful. 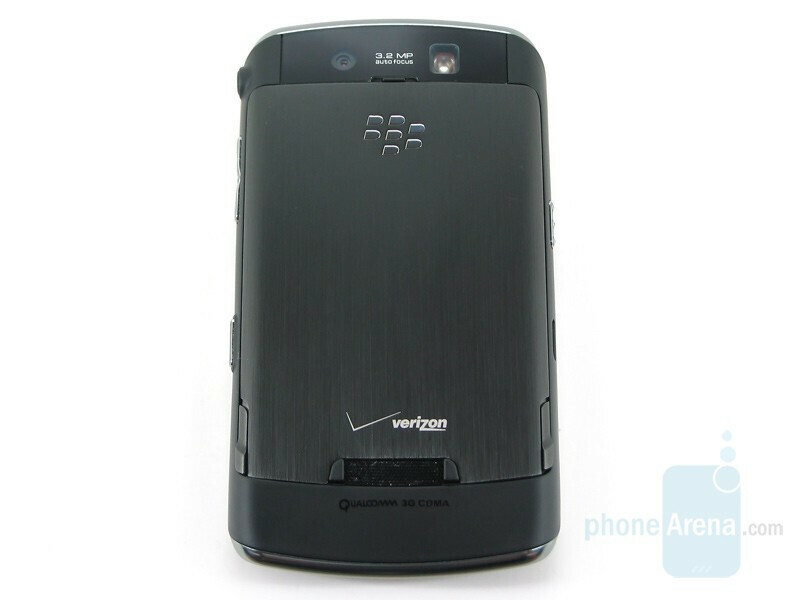 At the top of the door is an embedded chrome BlackBerry logo, and at the bottom is a small, screen printed Verizon one. Shockingly, this is the only Verizon branding you’ll find on the Storm, a very welcome change from pretty much every device they’ve put out in the past 8 years. The very bottom of the back is the same rubbery finish as the side housing, and in fact integrates with it. The single speaker sits on the back where the door meets the rubber housing. RIM has incorporated a subtle but great design touch, and flanking the speaker are two rubber feet which raise the device off of a surface ever so much. One of the biggest problems with rear facing speakers is that they are muffled when set down, and this slight spacing cleverly addresses that issue. Kudos to the engineer who thought that one through! In portrait mode the Storm feels unnatural in the hand, much like the iPhone only heavier. It’s much better in landscape mode, and we’d imagine most people will be utilizing this orientation more often than not. The weight is better when holding it with two hands rather than one, but that’s not to say it’s good. The screen, oh man the screen. It’s pretty darn gorgeous, but we can’t get over how it moves. It was literally the first thing we noticed when we picked the device up, and our exact reaction is “why the hell does this thing wiggle?” It’s very disconcerting, and makes the Storm feel incredibly cheap. There is play in all four sideways directions, and a lot of it. We’re not talking a little wiggle, we’re talking gaps big enough that you can clearly see the circuit board below. We realize it’s probably necessary and alleviates stress when clicking the screen, but man does it cheapen the device. But it is pretty. Videos looked amazing; crisp and bright and vivid. And then there’s the whole clicking issue. In theory it’s a good idea, because who hasn’t inadvertently brushed a touchscreen and selected something they didn’t want. By highlighting with a tap, then selecting with a press theoretically the user gets exactly what they want. For those reluctant to give up their keyboard it also provides tactile feedback. The key terms here is “in theory,” because in practice it’s annoying. First off, if it worked perfectly it might be a different story, but it doesn’t. Lag is present throughout the device (more on that later) but most frustrating with the selection process. There are times when we found ourselves clicking on an item, but the Storm only registered the highlight. It wasn’t common, but common enough to be a legitimate gripe. It is also inconsistent. In the commercial we see the mysterious hand swiping across the home icons, and the highlight following his finger. This doesn’t happen in real life, at least not on the homescreen or main menu. In the Media application, however, you can do just that with the icons at the bottom. Again, minor gripe but it’s just an illustration of the ill-executed nature of the Storm. 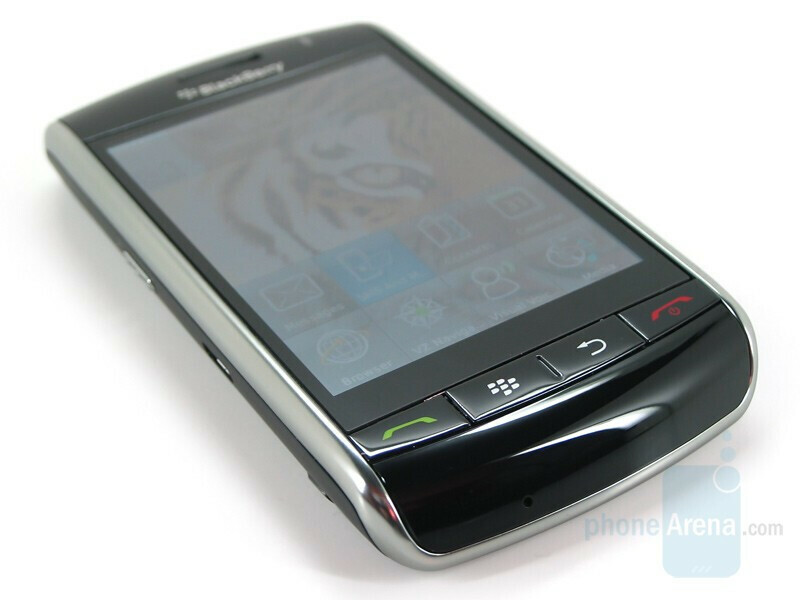 Most importantly is typing, especially since we’re talking about a BlackBerry. To say the Storm misses the mark is an understatement. This may sound like hyperbole, but we cannot think of a keyboard worse than the Storm. Ever. Touchscreen or not. Unless you’re typing along at hunt-and-peck speeds it simply cannot keep up with you and is horribly inaccurate. We compared onscreen keyboards from the Diamond, iPhone, Instinct and Dare and put them up against the Storm. On the first three devices we were able to quickly tap out messages with minimal mistakes, and autocorrect usually fixed our errors. The Dare had some trouble keeping up, as we noted in our touchscreen comparison review, but in general it got most of it. Messages on the Strom were often unreadable. As we slowed down we got more accurate, and tweaking some of the sensitivity settings helped a bit, but at full speed it just plain couldn’t perform. We have a feeling there are two things that may be causing this. First and foremost is that the software just isn’t that good. The other factor, one that we could control, is that the screen can’t handle multiple presses (multi-touch.) We found that there were times our one hand was still slightly touching the screen, so that when we clicked with the other it registered the wrong finger. In this respect there is a learning curve, but we don’t get the feeling that we’d have it mastered in any amount of time. After all, with the exception of the iPhone none of the other phones have multi-touch and we did not run into the same issue. Keyboards have always set BlackBerry devices apart from the rest of the crowd, and the Storm is no different, except that this time it’s setting the standard on the other end of the spectrum. Lastly, typing is tiring. After just a few messages our thumbs began to feel fatigued, and we were not alone in thinking that. We had several people try the device, and without mentioning it they all said the same thing. Keep in mind this was just after a few quick text and PIN messages, typing out a full email was downright exhausting on our thumbs. 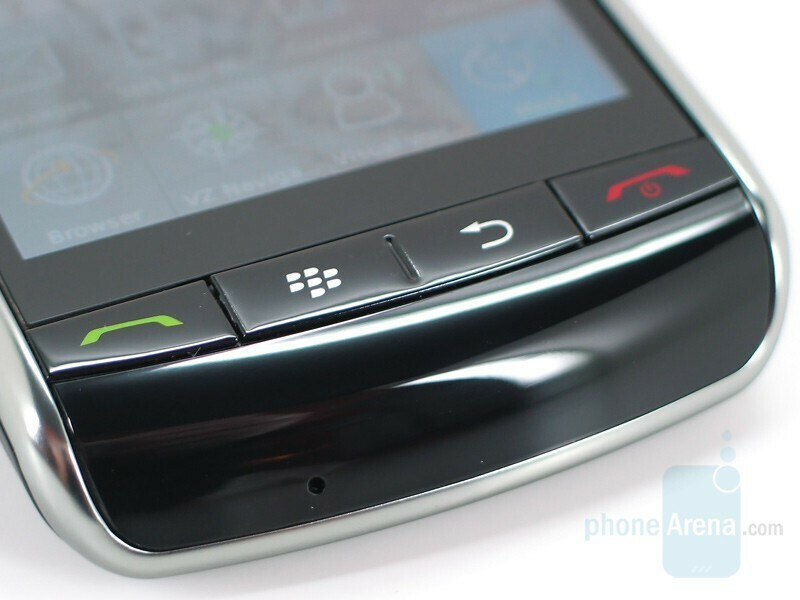 We often found ourselves wondering how RIM could have ever passed this device through beta testing, not to mention release it and market it as the iPhone killer. Wow, I'm actually very surprised, it got so low of a rating, whether it be 7.5 or a 5.5. I was defnitely going to get this phone until the Omnia was announced, and then I had trouble deciding between the two. But now all my doubts have been cleared up, and it looks like the Omnia will be my next phone. It's better. It has 3G! 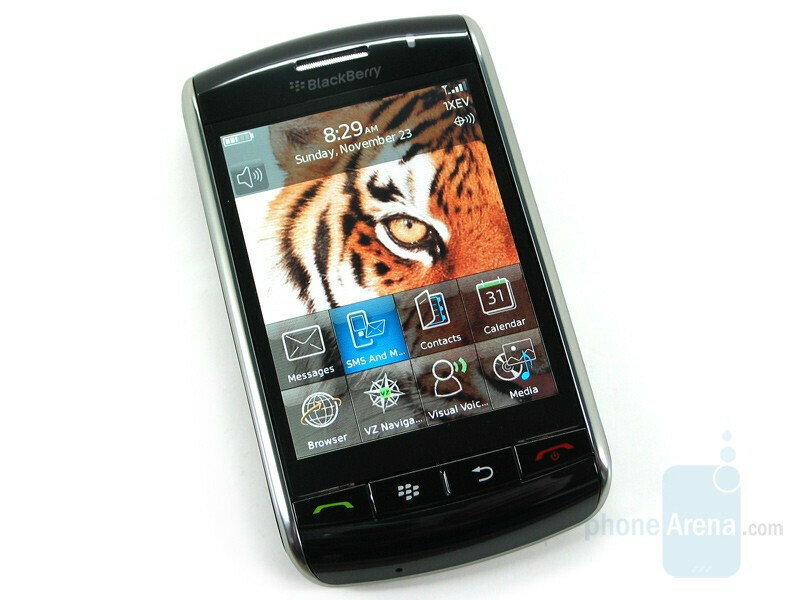 I Have the blackberry Storm since November 22. I already Had the iPhone and used the HTC Diamond Pro. I don't see how you can make a comment saying that the Storm typing is bad, how the phone is not even close to be the iPhone killer. The phone is heavy but it doesn't feel that heavy in hands and guess what? Once I pass my finger across the screen the selection will follow my finger, on the main menu screen or on the home screen. Typing is not a problem AT ALL for me, actually it was a problem with the LG DARE and the iPhone but with the Storm no problem at all. VZ Navigator, for me is one of the best GPS comparing to all the carriers, I've used the Sprint's TeleNav and i could never find my own house. YES, THERE IS AN OS UPDATE FOR THE STORM...i Got it last night and the phone got even better. The Link bellow will take to the upgrade, you can e-mail me a leo@from-brasil.com for instructions on how to proceed and I will send you an e-mail back with the step-by-step on how to UPDATE your OS.http://www.ndnguyen.com/bbstorm/9530AMEA_PBr4%5b1%5d.7.0_rel107_PL4.0.0.94_A4.7.0.75.exe I really think that phonearena.com is the only website where I was able to find someone saying that the Storm is not a good phone and has problem on the touch screen. Not sure where you look for your reviews, but the first three sites I looked at (Phonescoop, CNET, and this one ALL have complaints with the keyboard in their reviews. Granted, phonescoop and CNET don't trash the phone like phonearena does, but they all cite the keyboard as an issue. you really think that any major site don't know what a soft reset does? ive played with the storm for about 30m in the store (yes, i did reset the device) and would agree with most of what was said here. the keyboard just isnt good its also also pretty clear that they have an american group of writers for american devices and a foreign set for european ones, the latter of which sometimes struggles with english for sure. this was obviously written by the former. just maybe your biased for the phone, and your angry that it got a terrible review. if your gonna come out with the " IT " company and the " IT " phone to manhandle the iphone, than you better bring "IT", dont ya think,why half a** it in a hurry. It could have been way better. you know, these articles don't make or break a phone. this certain reviewer might not have liked the storm. oh well, he didn't like it. big deal. if you do, great. i personally like the storm, but this review does make a lot of good points. think about it, what phone do you know of has come right out of the gate absolutely PERFECT? none. i own an LG Voyager, i love it, it works for me, but it doesn't work for some. there are people that hate it. but I love it. and I like the Storm as well, but again i agree completely with this review. It's got a lot of problems. Fixable problems, but still, problems that could've been taken care of before it was launched. I don't necessarily think that the phone was rushed, i just think that maybe RIM and VZW spent a little too much time on advertising it, when really they should've been fixing obvious problems. They'll fix it, it's inevitable. But for now, there are problems that make it hard to get through the day with the phone. And again, a bad review means nothing to the masses. Think about it like movies, just because a movie gets a terrible review, doesn't mean it's a terrible movie. It's just one person's opinion. Great phone, lots of problems, let's hope they fix it soon so that it can work like it should. agreed. an avid apple fanatic will support an iphone, no matter how good or bad it is, as well as crackberry addicts. a review is just what it is - an opinion, no more, no less. best thing to do - test before you purchase. enough said. 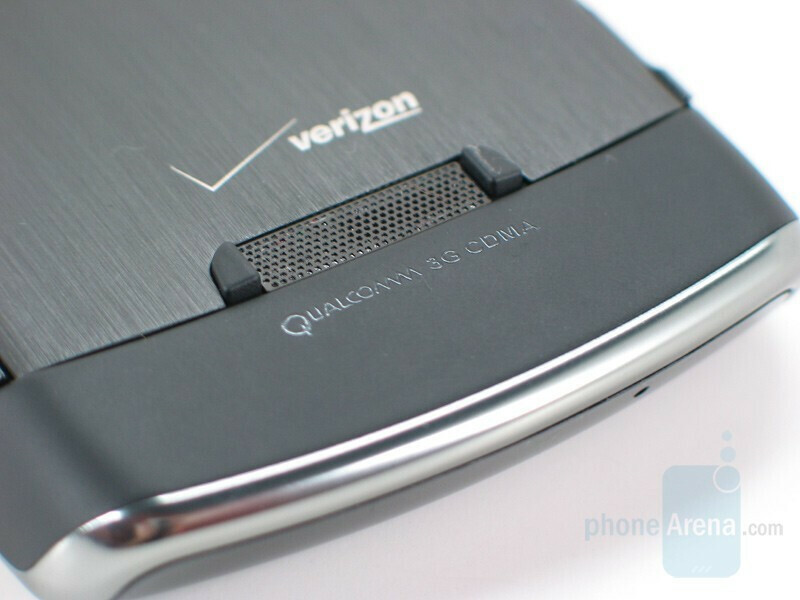 Some of what was said I can agree with, but VZ Navigator being the worst carrier-branded GPS? Come on man, I've tried them and the newest version of VZ Navigator flat out CRUSHES any of them, and my opinion is backed up by reviews from Consumer Reports, among others. I see the assertion that it doesn't hold up in a lot of Phone Arena articles, and honestly it makes me wonder if the writers do have a bias, because you are clearly not using the same program I am. Navigator is better than a lot of the Garmin and TomTom units I have tried. I totally agree. I have no idea where they are getting their basis for saying that VZ Navigator is the worst GPS out there. I recently was on a trip with my brother when his brand new out of the box Garmin got us lost and decided the highway we were on mysteriously ended and that we were now on top of a mountain. Needless to say, I pulled out my Dare and loaded up VZ Navigator and it knew exactly where we were and how to get to our destination without a problem. Its similar to a bunch of AT&T users telling everyone how great there phone is and what great features it has, while the only thing it cant do is make a phone call that doesnt get dropped. Same thing with VZ Navigator, it might not look as pretty as the others, but it actually works and in the end that is the most important thing. I agree with both of you 100%!!!!! Not because I work for VZW, but because I too have tried other navigation systems and Agree VZ Navigator WORKS!!! I have used Sprint's TeleNav and at times it was not accurate at all. Its delayed at times and also if you dont have a good signal it does not work at all, or update your route if you go the wrong way until you get a signal again. I am still getting used to the device, but overall, I am pleased. This is my firsst "uper-end" phone so I can say I do not have much to compare it to. That being said, the design is fine to me. The weight isn't bad. The screen wiggle isn't that strange in my opinion, afterall, the thing has to move for it's main feature. As stated above, if you change some of the default settings, it works really well. The keyboard does take some time to get used to, as does looking for certian functions in the menus. There is some lag time at times, but not consistently. The browser wasn't as messed up as the original reveiw mentioned...at least not to me. 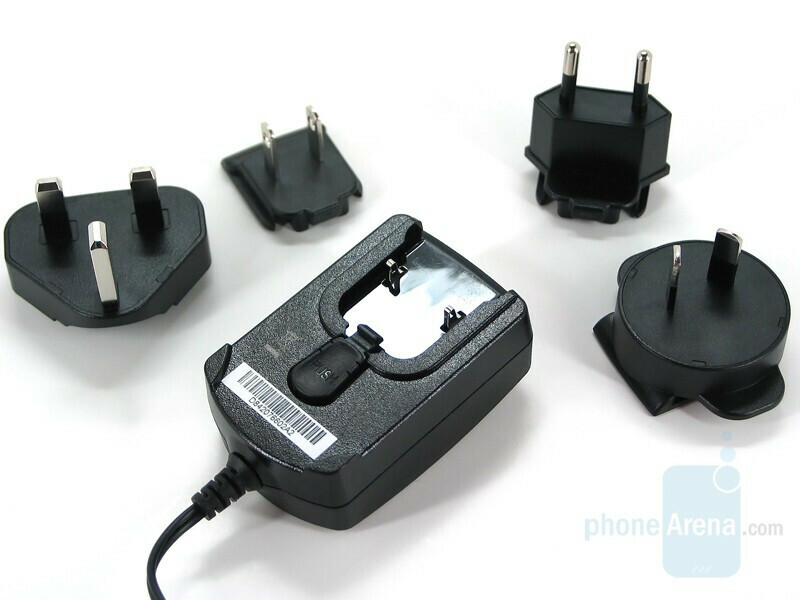 The original review says that the battery life is excellent, however, I do not agree. Mine lasts one day with mixed use. Not a lot of talking, but some playing around on it trying to learn it. Trying to use sparingly today to see how much that helps. The accelerometer does get stuck sometimes, but if you just lock the phone and unlock it, it'll work fine. I have not had any issues to where I had to reboot the device, although I have read on here, and elsewhere, that folks are having to pretty regular. Maybe I'm just too simple to care about some of it's bugs. Who knows? Afterall, there will be software and firmware updates in the coming weeks and months. If you want a phone that will do everything for you because you're too lazy, then this phone isn't for you, but if you want a good phone/PDA for business and personal use, plus an added "cool" factor, then try it. There will never be a phone that is completely perfect, especially for techies, so I will accept any faults the Storm has and go about my day. Over all, I agree with the above poster about the phone. 8-8.5. Just wanted to add that I cannot comment so much on the Verizon features and services. I have changed carriers to due to a wedding and she wasn't going to change. you just pointed out everything wrong with your phone, was also pointed it out on the review, and your gonna say that theres no problem your obviously bias on this phone to keep it with everything thats wrong with it. hey whatever floats your. boat. a lot of people keep phones even if they have problems with it that doesn't make them biased. there are other reasons people may keep a phone. It sounds like you are biased against this phone. Yes, I might have pointed out the same issues, however, I do not feel as though they are as severe as the reviewer made them out to be. I've never had to wait 10 sec. to complete a picture on the camera. I cannot see the circuit board. tha gaps on mine are not room enough for 2 crdit cards to fit in. It does not freeze up every time i switch applications. I have not had to reboot the phone. I have not had to constantly look at the little clock that shows it's working between applications. I have no bias for this phone either. I waited to join the fiance'e's contract until I could play with this phone to see if I'd like it. Not a BlackBerry guy by any stretch, but this one works for me. 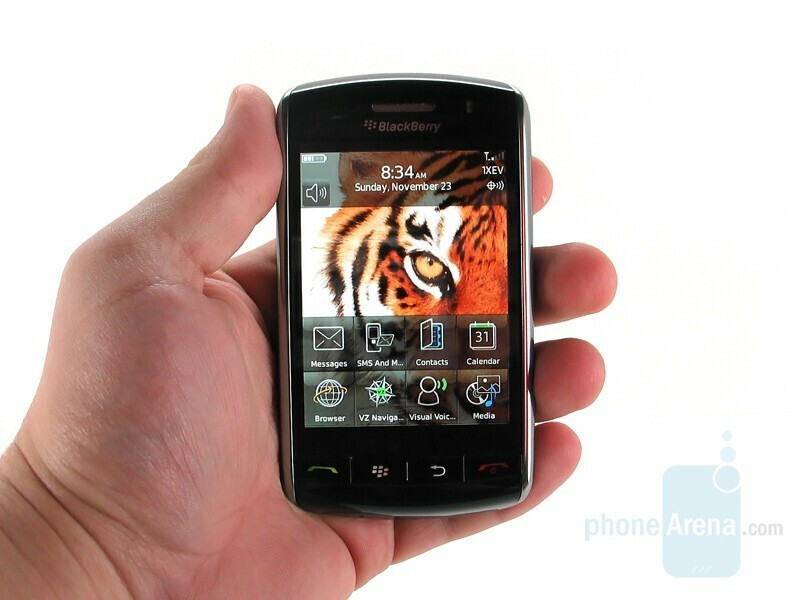 no no no, i like blackberrys, i messed with the storm, sorry to say that BB dumped on the storm. view it wile off and youll notice the screen entirely moves. makes me feel like one drop of it will pop the screen right off. again not biased, just extremely,extremely disappointed. I am curious what if any issues we will see down the line with the "Click" screen. 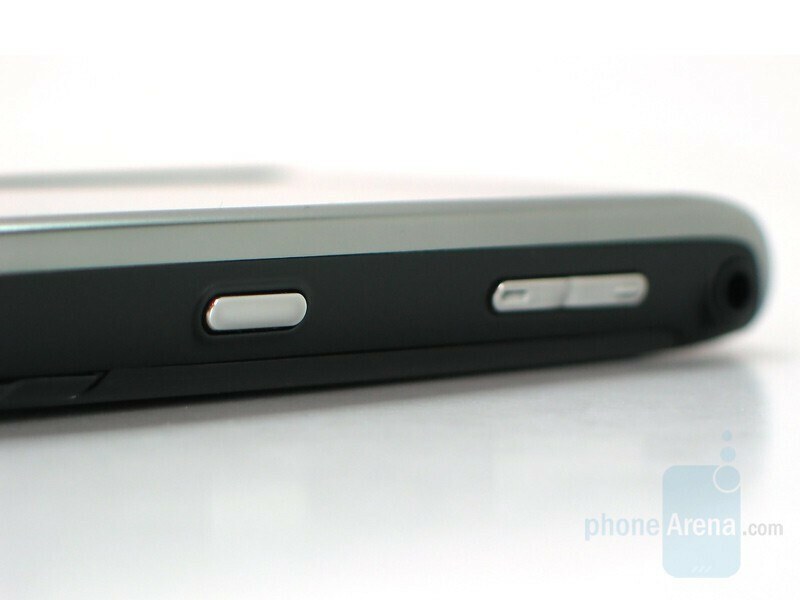 Bottons wearing out is a common problem with some phones and the fact that this button must be pushed to do just about eveything may cause it to wear down even faster. You can at least add insurace to the Storm unlike the iphone can't you? You have lost some flavor in your reviews. You spoke to expose the device and not show the people what it is all about. There has been some great up grades in many areas that were overshawdowed by your comments. I thought your review was very stuck up and you need to get back to how you use to do reviews. It just lacked tack. You mentioned the bold 15 or more times which sends the wrong message to your readers, as if you were paid to say that. Finailly you made a bold statment that this was one of Rims worst phones. Och!!! That was overboard. Good Luck with your career!! To clarify, we are aware of the different tap settings and have experimented with them. In our opinion we didn't see much of a difference in overall performance, and only slowing the typing speed improved accuracy. And yes, we did soft reset the device many times ;) Thank you for your comments, we understand that people have different views and appreciate your input! how is it a 5.5 rating? when you take the average of all fo the them it comes to 8.1 rounding down. So, ummm how 5.5?